Bring new life to your older Edson #335 & #336 Pedestal with this complete Rebuild Kit. 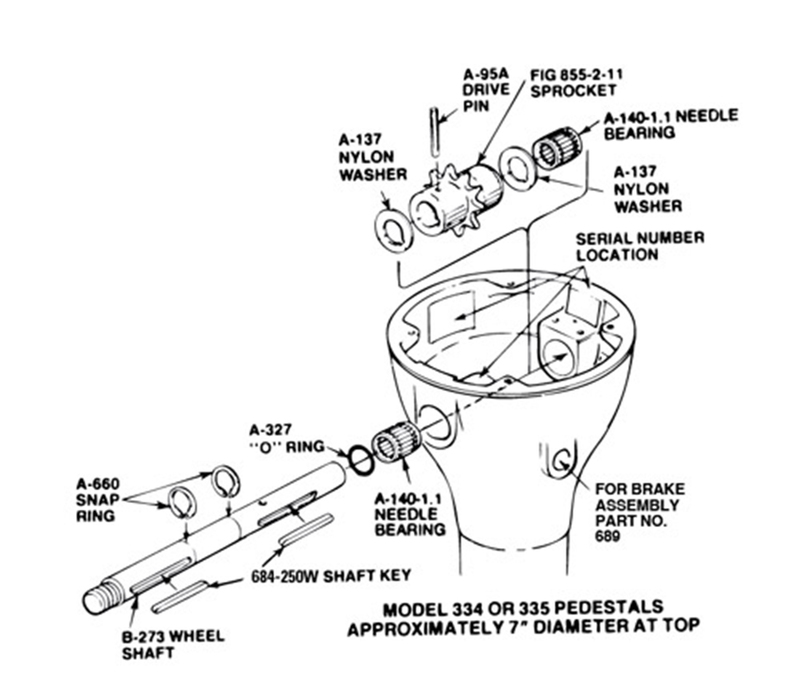 Edson's #314-335 Pedestal Rebuild Kit replaces all of the important moving parts that will make your Pedestal run smoothly again! Click Here to see the How To Do It Yourself Video! This video reviews how to maintain Edson's 335 Classic Style Pedestal. This Pedestal is distinguishable from other Edson Pedestals by a side mount brake and top bowl measuring 6 7/8" in diameter. The 335 Pedestal, with the standard components seen in the video, was manufactured from the late '70's/early 80's through 2002.